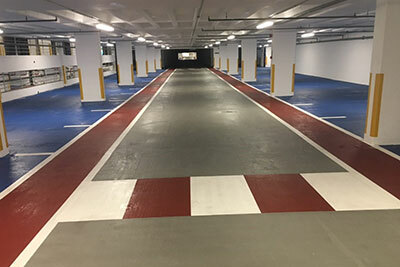 By far and away the most important factor in car parking deck protection for both new AND existing structures has to be the Deck Waterproofing system itself. Significant damage is caused through the contamination of reinforced concrete by water-borne chlorides (de-icing salts). If the parking decks themselves are either only partially protected or even just bare concrete, this can – and will have – a significant impact on a parking structure. Over the years, many different deck waterproofing systems have evolved ranging from asphalt, epoxy resin, polyurethane and most frequently these days, PMMA (Poly-Methyl-Methacrylate) &/or MMA (Methyl Methacrylate). These latest systems are even more durable than their predecessors and are favoured because of their rapid-curing functionality. 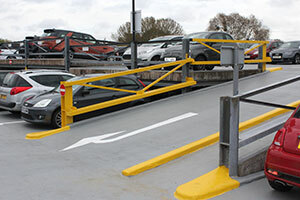 Such rapid-curing means that the application times are significantly reduced minimising impact on the car park’s users. 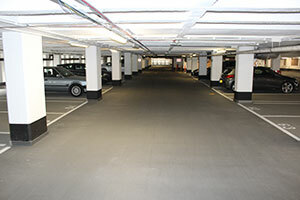 We work closely with the market-leading car park deck waterproofing manufacturers such as Sika & Tremco amongst others and all systems are BS-EN1504 Part 2 compliant. 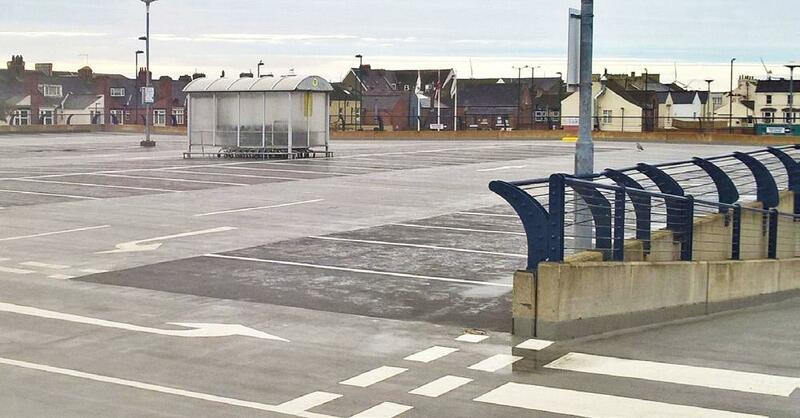 There are however important technical considerations to be taken into account when specifying car park deck waterproofing as all structures vary. 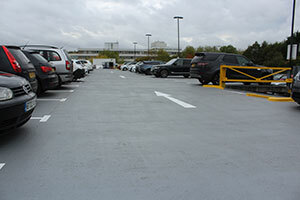 Top and exposed decks are amongst the most vulnerable areas of car parks requiring the best levels of protection against UV attack, water ingress, freeze/thaw cycles and chloride penetration. They should also have crack bridging capabilities able to withstand structural movement as per design codes and across a range of performance temperatures. Lower – or ‘Intermediate’ – decks are not exposed to the weather yet they still need protection against de-icing salts, abrasion, impact and other forms of deterioration. Their application can positively enhance the appearance of dark environments due to the range of colours available. Ramps and turning circles also need heavy duty protection due to mechanical impact and abrasion so it’s important that the system selected provides maximum wear resistance and durability.